Gavin Mitchell and Karen Dunbar join Priscilla Queen of the Desert the Musical! 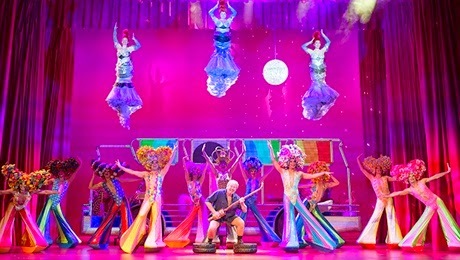 Scotland’s very own Gavin Mitchell will play ‘Bob’ and Karen Dunbar will play ‘Shirley’ in the smash hit musical Priscilla Queen of the Desert the Musical when it plays at the Edinburgh Playhouse from Tuesday 15 December 2015 to Saturday 2 January 2016. They join Jason Donovan as ‘Tick’, Simon Green as ‘Bernadette’ and Adam Bailey as ‘Felicia’. Gavin Mitchell and Karen Dunbar will take on the roles of 'Bob' and ‘Shirley’ for the first time and Priscilla reunites them after previous appearances in the Glasgow King's Theatre pantomime together. So get ready for the ride of your life! 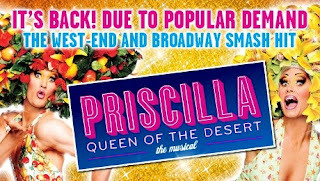 Based on the movie, Priscilla Queen of the Desert the Musical is the heart-warming, uplifting adventure of three friends who hop aboard a battered old bus searching for love and friendship and end up finding more than they could have ever dreamed of. With a dazzling array of outrageous costumes and a hit parade of dancefloor classics including ‘I Will Survive’, ‘Say a Little Prayer’, ‘Go West’, ‘Hot Stuff’, Boogie Wonderland’ and ‘Always on My Mind’, this wildly fresh and funny new musical is a journey to the heart of FABULOUS! Priscilla Queen of the Desert the Musical is at the Edinburgh Playhouse from 15th December to 2nd January. For tickets and information click here.